These art forms are based on the rituals followed in religious or social beliefs. Ritual art forms are performed with particular motives like attaining prosperity, eliminating evil possessions and diseases or pleasing a deity. 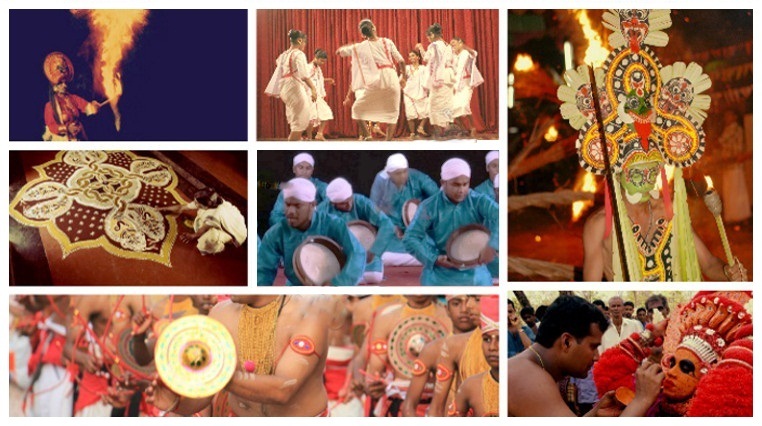 Dance and songs with the accompanying traditional musical instruments, colorful ritual paintings called 'Kalam' and indigenous decorations are the specialties of many of these art forms. Some of these are very complex tantric rituals.